Why did Pastor John Gray really buy his wife a new Lamborghini? 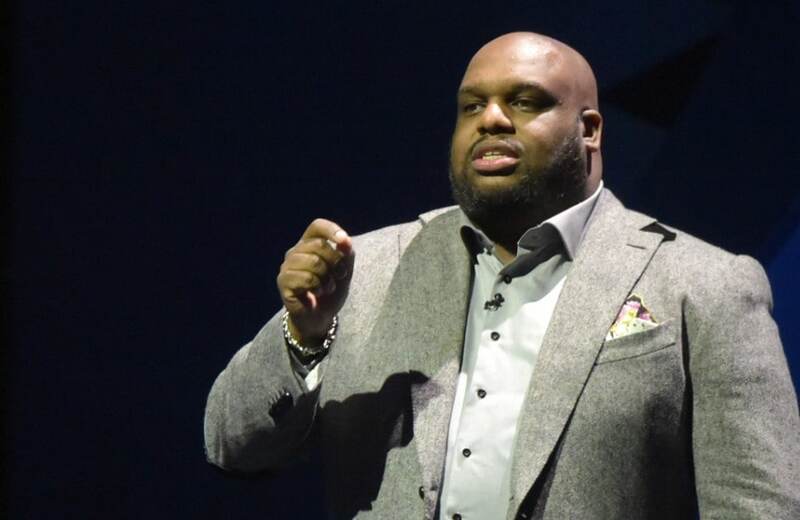 Pastor John Gray was slammed for buying his wife a pricey $200,000 Lamborghini, but was it a wedding anniversary present or a make-up gift after the pastor admitted to having an affair and as unconfirmed rumors swirled that the other woman was with child? Last month, the megachurch pastor from Greenville, South Carolina was blasted for purchasing the lavish gift for his wife Aventer Gray, not long after admitting that he cheated on her. “We had to keep smiling because even though we were struggling, even though I was failing as a husband, I was already in front of the people, and the people can’t really receive my brokenness, because where do leaders go when they bleed?” John told his Relentless Church congregation. “So I had to bleed alone. For her part, Aventer Gray stood in support of her husband. But some are suggesting that Gray likely bought the vehicle because of the affair. There have also been unconfirmed rumors that Gray’s mistress is pregnant, but for now it seems to be nothing more than gossip. Fans slammed Gray after he posted a since-deleted video of him gifting his wife the car on social media. Aventer in response reportedly gifted him with an $8,000 Rolex. John has defended his choice saying that he didn’t take from the church’s pot to make the purchase. He said his book deals and coupled with cash he is receiving from his OWN reality show is padding his pockets. Check out the pastor’s remarks.